Intersected by a main road and blighted by an open air car park, Cecil Square today seems little more than a busy traffic hub. While there are clearly some interesting heritage buildings on one side, the eye is drawn to the ghastly post war concrete library structure on another other. If they aren’t here to borrow a book, most people probably just pass on by. But this little corner of Margate deserves further exploration as Cecil Square was the first planned square to be built in a seaside resort. Landowners and businessmen collaborated here in 1769 on a scale and form that had previously only occurred in London. 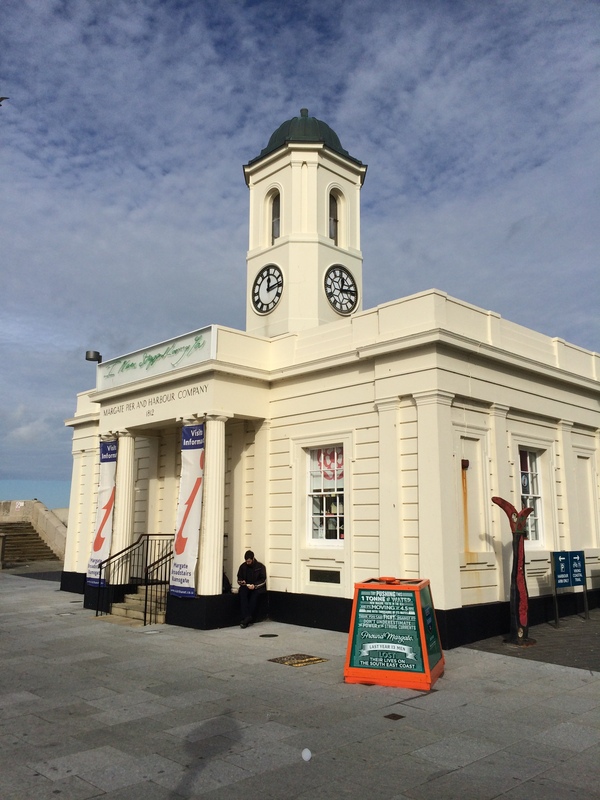 It was a turning point for Margate – a place that takes 1736 as its foundation year – and a significant milestone in the development of the English seaside resort for the country as a whole. While visitors had been coming to the town for some time, entertainment and other amenities had for many years been limited. Cecil Square, which moved development away from the historic high street for the first time, set to change that with the building of large houses, new shops, Assembly Rooms and a circulating library. This gave those visiting from the capital a home away from home. It ushered in a construction boom in the town. 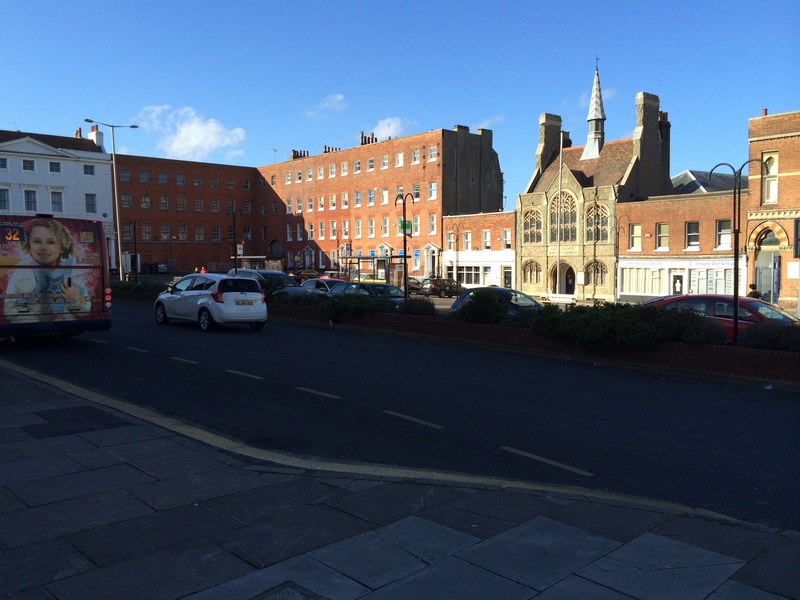 Following Cecil Square came nearby Hawley Square in the 1770s and 1780s which included a library (one of the first and best to be built in a seaside resort) and theatre (the still operating Theatre Royal), as well as family homes and boarding houses. 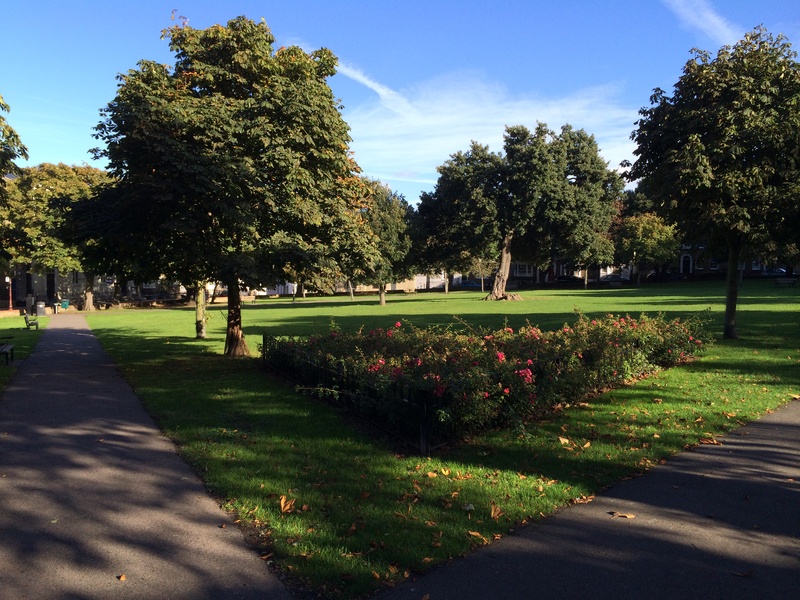 Unlike its predecessor, Hawley Square is today a pleasant place to while away time as it was laid out with gardens in the centre. But it wasn’t just affluent visitors who came to Margate in the 18th century. The Royal Sea Bathing Hospital was opened in 1796 to treat poor people suffering from a scrofula (a form of tuberculosis) by a philanthropic London doctor, Dr John Coakley Lettsom. 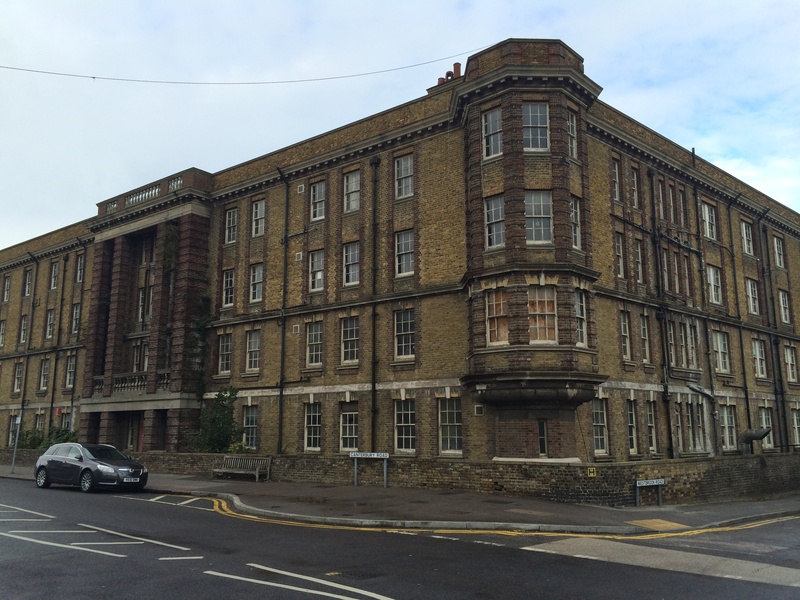 The vast complex, lying about ten minutes walk from the Margate’s old town and currently looking in a sorry state as the disused buildings await conversion into luxury apartments, grew rapidly in the 19th century. They were in use until 1996, having being amalgamated into the NHS at its formation in 1948. Until 1910 bathing in water was the main means of curing patients. 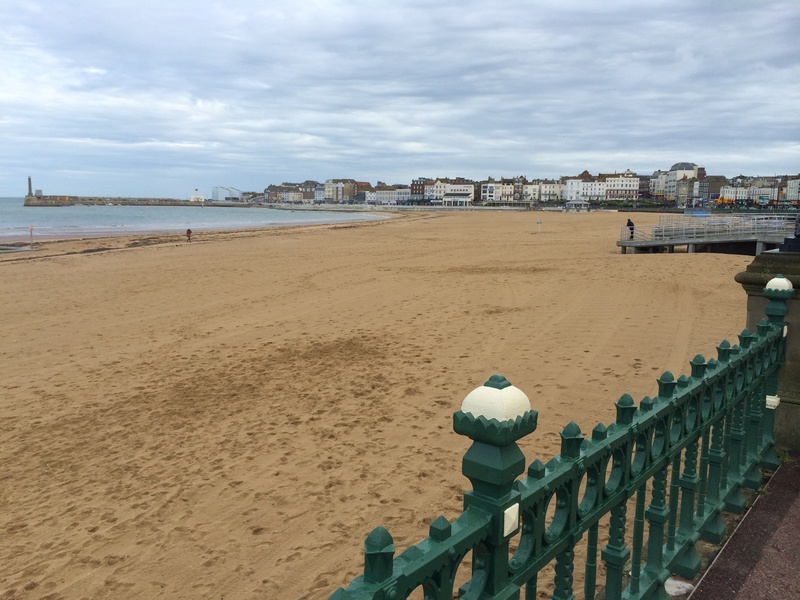 It had been the perceived therapeutic properties of sea water bathing in the 18th century that had truly put Margate on the map in the first place. Physicians saw immersion in baths as a cure for a range of diseases including rheumatism, rickets, leprosy and scurvy. Given that Margate was less than a day’s carriage ride from London – and that it could also be reached by boat on the Thames – visitors started to arrive in droves, hence the need to expand facilities. Such was the demand for bathing machines that waiting rooms were created on the High Street. Bathers could read newspapers, drink sea water and be entertained with music as they waited for their ride. Improvements in transport were of course instrumental in making Margate accessible for the masses. Visitors could get cheap rides on hoys, single-masted ships steamers that had initially carried goods such as coal, timber and grain but over time had focused on passenger services. And then in 1846 the first railway arrived in Margate providing another option for getting to the town. Over the course of the 19th century Margate grew dramatically beyond its historic centre, expanding westwards to create Westbrook and eastwards to Cliftonville, the latter home to many of the first class enjoyed by holiday makers. Today, Walpole Bay Hotel (built 1914) is the only one that survives in that area. 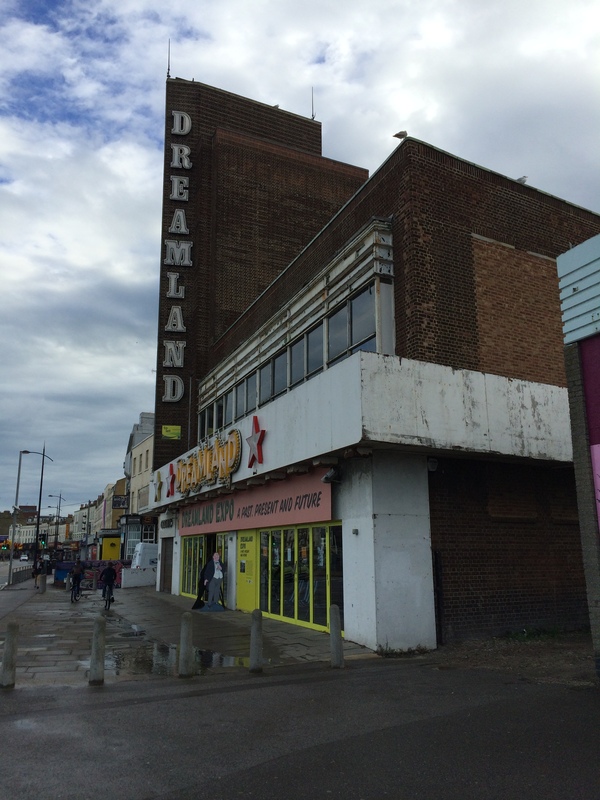 Indeed most hotels have disappeared in Margate since the decline that set in from the 1960s. In recent years surviving b&bs are most likely to have found their primary customers to be recovering drug users or alcoholics. Many other hotels have been turned into retirement flats. But things are starting to look up for Margate. The opening of the Turner Contemporary gallery has brought a much needed boost for the town and complements an already thriving artistic quarter in the old town. It’s now a pleasant place to with lots of independent coffee shops. Dreamland, with the oldest roller coaster in Britain, is due to re-open next year as the “world’s first heritage amusement park” with rides and other attractions. Even Premier Inn is being extended. Fascinating, I wonder if there was any medical theory behind treating such terrible diseases with sea water, or just seen as a commercial opportunity.